As the stream of corruption and financial abuse of power cases brought against leaders of the previous government and its key supporters continues unabated, it is important that all stakeholders and stake players in our governance system recognise that the 1MDB episode is, in fact, the tip of the iceberg of costly financial transgressions that have bedeviled the country since independence. To enable the country to begin afresh in the quest for good governance and a clean Malaysia, the Pakatan Harapan government has now come out with an anti-corruption road map. 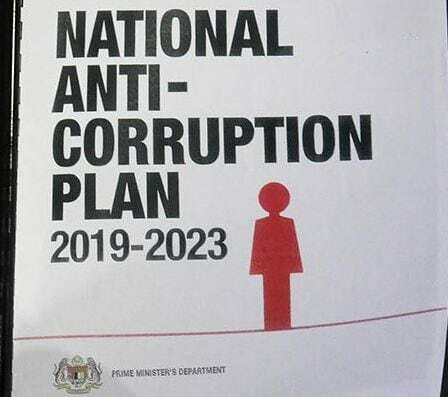 Recently unveiled, the National Anti-Corruption Plan (NACP) 2019-23 calls for the rule of law; improving government efficiency, transparency and accountability; and creating a clean business environment. It also has six priority areas and strategies. All of this is well and good, as with most motherhood declarations. However a key component is missing from the NACP – which alone can provide a truer picture of the diverse ways in which the nation’s Treasury has been ransacked or hijacked by those in positions of power and authority in the past, as well as a better estimate of the cost of national financial transgressions, past and present. 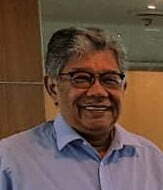 To correct this absent component in the NACP, as well as to refute the growing accusation that the charges levelled against former prime minister Najib Abdul Razak smack of selective political persecution, we call on the Harapan government to review the entire range of the most costly financial scandals that have rocked the nation since 1980 through an independent tribunal – using perhaps a cut off point of RM100 million for a start. Some of these scandals, for example, the cases involving Port Klang Free Zone (PKFZ); Perwaja Steel; Maminco; Bumiputra Malaysia Finance; Bank Negara foreign exchange; Scorpene submarine; approved permits (AP); National Feedlot Corporation (‘Cowgate’); and Tabung Haji, may have already been investigated or they may have been deemed unnecessary of investigation by the previous government. These, as well as a longer list of other not pursued financial scandals, need to be scrutinised by a new group of experts and truth seekers who are not aligned to the Harapan or BN parties. Working with the MACC and the Attorney-General’s Chambers, the independent tribunal should be mandated the authority to review each case and to decide whether there is a fair as well as legal basis for action to be taken against those involved in the financial scandal. A short list of notable alleged political, financial and corporate scams and scandals in the country can be found here. The merit of our proposal can be seen in at least three ways. Firstly, it will breath new life into the reform process, through a non-partisan, transparent and accountable process. Secondly, it will refute the claim made that there has been selective immunity given to those responsible for earlier abuse of power and financial transgressions of the first order of magnitude, which have impoverished the nation. Thirdly, it can be the most effective deterrent to future high financial crimes and abuse of power involving political leaders and their associates from the civil service and private sector. 3) Parliament initiates a special sitting on the subject matter of “Rule of Law and establishment of an independent tribunal to investigate major financial transgressions and abuse of power”. TAWFIK ISMAIL is the former MP for Sungai Benut. LIM TECK GHEE is a public policy analyst and author of the book Challenging Malaysia’s Status Quo.